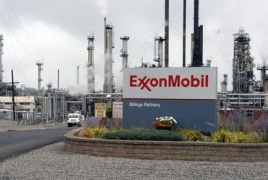 PanARMENIAN.Net - Exxon Mobil is seeking to sell its stake in Azerbaijan's largest oil field, once dubbed the "contract of the century", as the U.S. oil and gas giant re-focuses its global operations, industry and banking sources said, according to Reuters. Exxon spokeswoman Julie King declined to comment, saying "we don't comment on market rumors or speculation." Azerbaijan's state oil company Socar was not immediately available to comment. Other ACG consortium members include Japan's Inpex with 9.3 percent and Norway's Equinor with 7.3 percent. Turkey's TPAO, Japan’s Itochu, and India's ONGC Videsh have smaller stakes.